Tata Motors is not done yet. After the Tiago NRG, Nexon Kraz and new Tigor, the next launch in the pipeline is the feature-loaded XZ+. The market launch is expected on December 12. Tata Motors had a splash in the festive season. The Mumbai-based automaker kicked off product launch campaign with Tiago NRG followed by Nexon Kraz limited edition, Hexa XM+ and updated 2018 Tigor compact sedan. 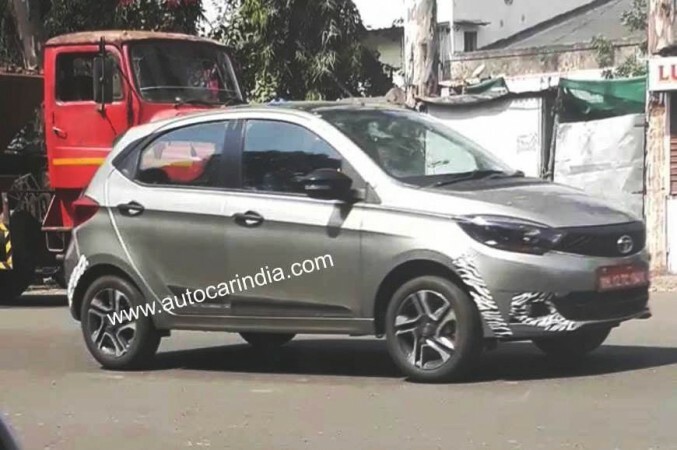 However, Tata Motors is not done yet for 2018 as a feature loaded top-spec variant (likely to be called XZ+) of the Tiago hatchback is next in pipeline. 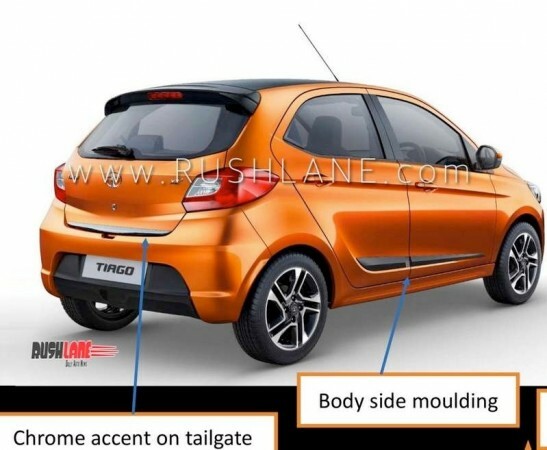 Ahead of Tata Motors teasing the new variant, an image of the Tiago XZ+ has been leaked online. The soon-to-be-launched variant in the leaked image has been draped in new Canyon Orange paint shade. In addition, the new Ocean Blue shade will be on offer. A test mule of the Tiago XZ+ variant spotted in October was in Titanium Grey paint shade. It remains to be seen whether it will also get introduced. Apart from the new colours, the 15-inch alloy wheels from the Tigor petrol, chrome accent on the tailgate and contrast black roof will differentiate the Tiago XZ+ from the rest of the variants. The new variant will get glamourised grille and chrome internal finish to projector headlamps. The picture also confirms black beadings at the bottom of side doors and all the additions are in line with the newly launched Tigor XZ+ variant. Inside the cabin, the Tiago XZ+ will flaunt a 7.0-inch Harman-sourced touchscreen infotainment system that offers reverse camera assist and Android Auto in line with the Tigor XZ+. In addition, fully automatic temperature control is also expected. Since the Tiago XZ+ is just a variant addition, no changes under the hood are expected. Tata Tiago is powered by a 1.2-litre three-cylinder Revotron petrol and 1.0-litre three-cylinder Revotorq diesel mills. The current top-spec variant of the Tiago is the XZ variant and it is been priced at Rs 5.21 lakh for petrol and Rs 6.04 lakh for diesel variants (ex-showroom Delhi). The XZ+ is expected to attract a premium of Rs 30,000. 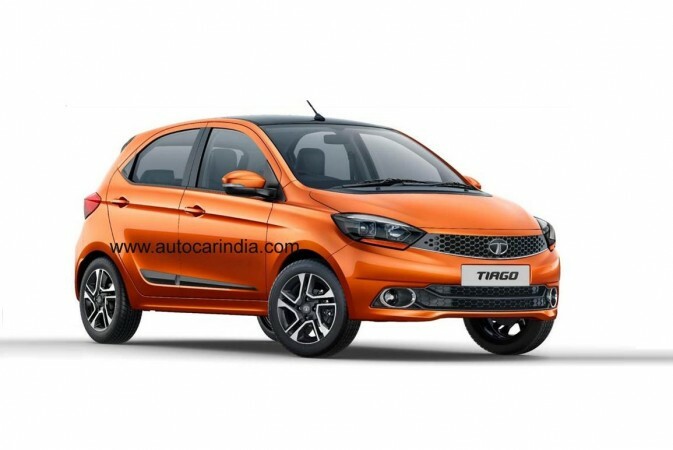 Tata Motors is yet to announce the launch date of Tiago XZ+ while a report in Rushlane claims it has been scheduled on December 12.